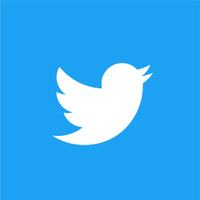 In April, we launched Twitter Lite, a new mobile web experience that minimizes data usage, loads quicker on slower connections, and is more resilient on unreliable mobile networks. Since then we’ve seen an increase in engagement — for example, Tweets sent from Twitter Lite have increased more than 50%. Over the past few months, we’ve added safety and performance improvements in addition to features including GIF search, ranked Home timeline, and more. We wanted to make Twitter Lite more discoverable, so in September we tested making it available in the Google Play Store in the Philippines. Through on-the-ground user research and Play Store reviews, we received a lot of valuable feedback. People using the app valued its small size, quick loading, and minimal data usage. Based on these positive results, we have decided to bring it to more people around the world. Starting today, we’re adding Twitter Lite to the Google Play Store in 24 more countries across Africa, Asia, Europe, Middle East, and Latin America, specifically: Algeria, Bangladesh, Bolivia, Brazil, Chile, Colombia, Costa Rica, Ecuador, Egypt, Israel, Kazakhstan, Mexico, Malaysia, Nigeria, Nepal, Panama, Peru, Serbia, El Salvador, South Africa, Thailand, Tunisia, Tanzania, and Venezuela. No matter where you are in the world, we want to make Twitter the best way for you to see what’s happening in the world and talk about it. You can use Twitter and Twitter Lite to get real-time updates on news, sports, entertainment, politics, and other topics that matter most to you. Download Twitter Lite from the Play Store today!